Changes are coming to the nation’s health care system. 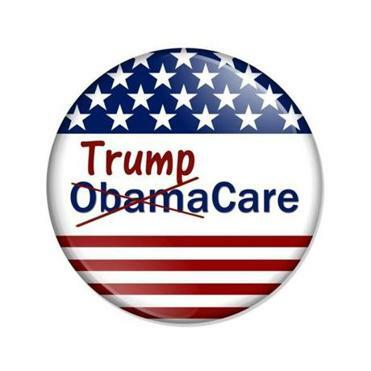 President-elect Donald Trump has vowed to repeal President Obama’s signature health care law, and having a Republican-led Congress boosts the odds he can make good on that promise. What did the Affordable Care Act do? The 2010 law, approved by a Democrat-controlled Congress and signed by Obama, dramatically changed health care. It expanded access to health coverage by establishing new exchanges where people could buy insurance, often subsidized by the government. It changed eligibility requirements to allow more families and individuals to qualify for Medicaid, the public health care program for people with low incomes. An estimated 20 million Americans gained coverage through the new program. The law allowed young adults to remain on their parents’ health plans until age 26, barred insurance companies from discriminating against people with preexisting health conditions, and required insurers to cover “essential” benefits. All this came with a mandate, that every individual must be insured or pay a penalty. The sweeping legislation also included changes to the way doctors and hospitals are paid, pushing them to improve the health of their patients while keeping costs under control. Although Massachusetts expanded health coverage following the passage of its own landmark legislation in 2006, about half a million residents here also gained fully or partly subsidized coverage through the federal law. What is happening to the national health law? Republicans have long opposed the Affordable Care Act. They’re against the mandate requiring all Americans to obtain insurance. They blame the legislation for driving up the country’s health care costs and making coverage unaffordable for many people. Premiums for a core group of plans available under the law rose by 25 percent this year, with people in some states seeing even bigger price rises. The average cost of plans available on Massachusetts’ insurance exchange, the Health Connector, rose more moderately. After many failed attempts during the Obama administration, Trump and the GOP have their chance to kill the law. They started the repeal process with a budget maneuver last week, but they have not detailed a replacement plan. Some of the ideas so far: end the mandate to buy insurance, ease restrictions that allow insurers to meet state-by-state insurance rules, and establish high-risk pools for sick people to buy coverage. Trump, while railing against the law, also has said he wants to keep provisions that allow young adults to remain on their parents’ plans and cover people with preexisting conditions. The phase-in of a new law is expected to take years. That means the uncertainty around the future of health care is not likely to subside soon. How can the law be undone? Congress and the incoming administration can repeal the law through legislation and executive orders from the president. The executive orders have not been specified. But the Senate is working on a budget bill that could undo big pieces of the law, such as eliminating the penalties for people who don’t obtain insurance and the requirement that many companies offer coverage to their workers. Health care watchers in Massachusetts point to two big concerns if the law is repealed and not immediately replaced: the possibility that people will lose coverage, and the possibility that the state will lose federal funding. An estimated 96 to 97 percent of Massachusetts residents have health insurance, which is the highest coverage rate in the country. About 300,000 people here joined the state’s Medicaid program, called MassHealth, thanks to the law. Nearly 200,000 additional Massachusetts residents obtained coverage on the Health Connector. Potentially billions of dollars are at stake. The state is receiving $1.8 billion this fiscal year, ending June 30, to cover the costs of those who gained coverage through the expansion of Medicaid. That’s 86 cents from the federal government for every dollar required to expand coverage. Massachusetts is also getting $580 million this year to subsidize the cost of plans on the Connector. That’s almost $2.4 billion in federal funding this year alone. In addition, Governor Charlie Baker’s administration is counting on $29.2 billion in federal money to help fund Medicaid over the next five years. It isn’t clear whether the Trump administration will seek to change that agreement, but Republicans in Washington have floated ideas for altering Medicaid funding. Baker has stayed away from discussing the impending demise of the law and what it means for Massachusetts. Administration officials said they will respond after they have seen the details of a repeal plan. But the national health care law is popular in Massachusetts, and many here are raising alarms about the prospect of a repeal. A new coalition has vowed to fight to preserve the state’s near-universal access to health care. The coalition includes groups representing hospitals, doctors, insurers, employers, health policy experts, and consumer advocates. Its first order of business: hire a consultant and figure out exactly how Massachusetts will be affected by changes at the national level. Material from the Associated Press was used in this report. Priyanka Dayal McCluskey can be reached at priyanka-.mccluskey@globe.com. Follow her on Twitter @priyanka_ dayal.